Be the most popular person at the party with your own home brew - as good as the wildly popular Batch beers. Join the craft beer phenomenon by learning to brew and bottle your own beer, brewed the way you like it and using only basic home brewing equipment. Christopher Sidwa - head brewer and co-founder of wildly popular craft brewery Batch Brewing Co. - walks you through the entire process, from choosing the best ingredients to setting up your home brewery, a full guide to brewing techniques, even how to taste and assess your batch. There is no mistake Christopher hasn't made while brewing at home, so that you don't have to. 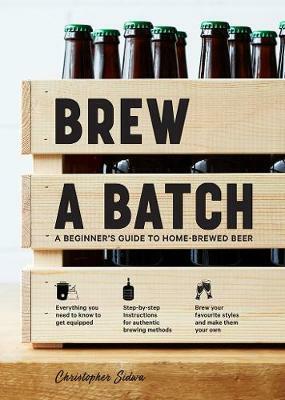 This lively handbook assumes no prior knowledge and covers all the advice you need to start brewing great beer.